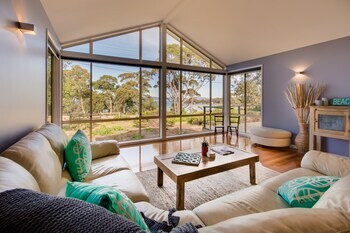 With a stay at this vacation home in Murdunna, you'll be 9.8 mi (15.8 km) from Eaglehawk Neck and 18.9 mi (30.5 km) from Port Arthur Lavender Farm. Free self parking is available onsite. With a stay at Link Portside Apart'Hotel in Hamilton, you'll be near the airport, within a 15-minute drive of Suncorp Stadium and Eat Street Markets. Free self parking is available onsite. Located in Nambour, Nambour Lodge Motel is within a 10-minute drive of Queensland Zoo and Big Pineapple. Limited parking is available onsite.